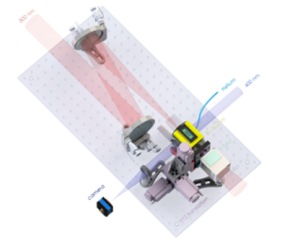 The SL-ALC-HI system is a motorized cell of adjustable length, conceived for laser-plasma interaction experiments at underdense regime, requiring mm-to-cm long stable medium in general (e– acceleration and diffraction, inverse Compton scattering, γ-ray generation, X-ray laser, high harmonic generation), and Laser Wakefield Acceleration (LWFA) at high repetition rate in particular. This system is designed to offer perfectly reproducible laser-plasma interaction conditions. 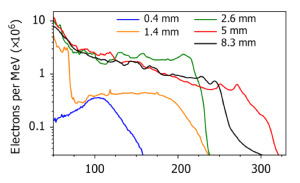 The solid and shielding metallic housing and specific in-out nozzle design enable very reproducible shots with a multi-Terawatt to Petawatt laser system without fatal damaging and dangerous light backscattering at normal laser incidence. The gas-tightness is tested for resisting up to few bars of flow pressure (approx. 1020 atoms/cm3 at normal temperature).